After two failed attempts in 2011 and 2015 to introduce this bill, either due to the dissolution of the house or the lack of a majority, the third time it proved lucky. 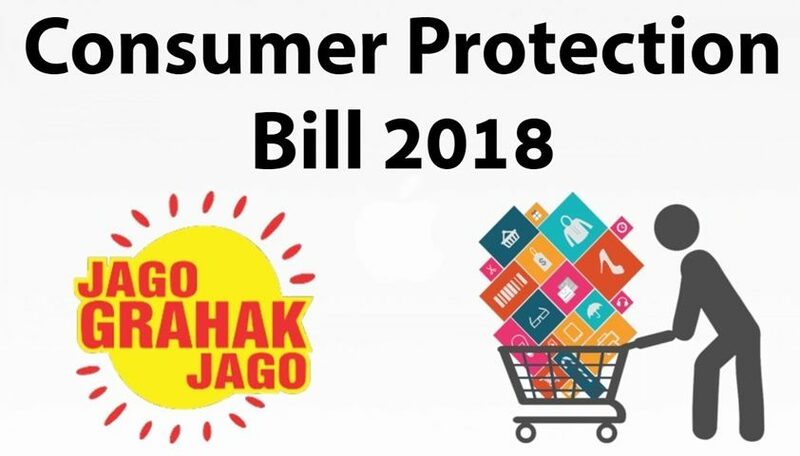 The Consumer Protection bill, 2018 (Hereinafter ‘the bill’) was originally introduced in the Lok Shaba in Jan 2018 and was passed on Dec 2018. The instant bill seeks to replace the three decade old Consumer Protection Act, 1980(Hereinafter ‘the act’) with more stringent rules and punishments. This bill is yet to be approved by the Upper House of the Parliament and then ratified by the president. We live in a generation of advertisements, every product launched in the market advertises itself by exaggerating its qualities and functions, and sometimes it is false and defiant. This bill also protects the consumer from being defrauded by those advertisements. During the discussion of the bill in Rajya Sabha, the hon’ble chairperson Venkiaya Naidu said that he was also fascinated by one such advertisement for weight loss but the only thing he lost was his money. “Misleading advertisements, tele-marketing, multi-level marketing, direct selling and e-commerce pose new challenges to consumer protection and will require appropriate and swift executive interventions to prevent consumer detriment.” The development in fields of law has cleared the way for this legislation. Under the act all product and services were enclosed for consideration whereas the free and private services were excluded. The bill additionally includes all product and services, like telecommunication, housing construction, different modes of transactions however the free and private services are excluded as before. The act included six types of such practices including misleading advertisement, false representation and the bill added three more practices. The act contained no provision whereas the bill includes claim for product liability against manufacturer, service provider and seller provisions alongside mechanism for Compensation. The act didn’t mention unfair contract whereas the bill clearly defines unfair contract and lists six such contract terms that may be held as unfair. The act had no mention of regulators whereas the bill provides for the establishment of the (CCPA) for promotion, protection, and enforcement of consumer rights. The bill proposes to increase the pecuniary jurisdiction of commissions. Earlier the act provided that district would have pecuniary jurisdiction up to 20 lakhs, State from 20 lakhs to 1 crore and matters above pecuniary value of 1 crore would be dealt by National commission. The bill provides for the mechanism where district can deal with matters up to 1 crore, State from 1 crore to 10 crore and matters exceeding 10 crore would be dealt by National commission. The act contained no provision for ADR whereas the bill proposes mediation cell attached to all the three commissions. The act did not mention E-commerce whereas the bill clearly defines it and provides that central government can prescribes rules for preventing unfair trade practices in both E-commerce as well as direct selling. The penal punishment has remained unchanged (imprisonment for 3 years) but the ceiling of fine imposition has been extended to 1lakh which previously was 10,000. The act has given special importance to the recently emerged fundamental right, Right to Privacy. In Justice K.S. Puttaswamy v. Union of India (UOI), the court held right to privacy is a fundamental right under Article 21 of Indian Constitution. The bill provides for certain instances which will be treated as unfair trade practices. Under Section 2(47) (IX) of The Consumer Protection Bill, 2018, it has been clearly mentioned that “Disclosing to other person any personal information given in confidence by the consumer unless such disclosure is made in accordance with the provisions of any law for the time being in force.” This clearly shows that the bill aims to prevent the consumer from disclosing any information provided by the buyer that violates the right to privacy. In Justice K.S. 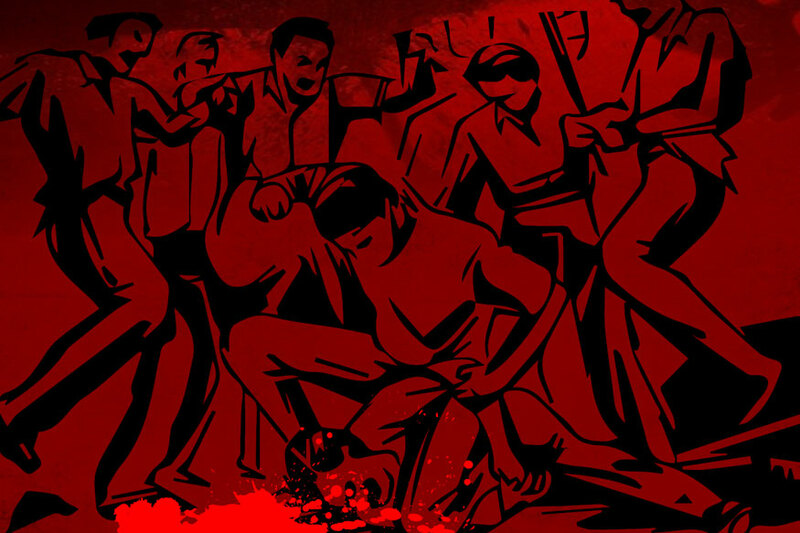 Puttaswamy v. Union of India (UOI), the court held that “For the information to be disclosed must be sanctioned by law and must necessarily have a legitimate objective for a democratic society. The extent and necessity of such interference must be proportionate, and there must be procedural guarantees against the abuse of such interference.” The bill also attaches the same condition with the information disclosure clause. The insertion of this provision seems to be really progressive move by the legislation as it has considered recent advancements in the field of law. The commissions have been set up as quasi-judicial bodies which work in a hierarchical manner. Appeal against the lower commission’s decision can be brought before the higher ones and eventually to the Supreme Court. The bill provides for a president as a head of commissions along with other members while authorizing the central government with the power to decide the minimum qualifications of these members comprising of board. There is a clear contradiction between the bill and the act, the former one does not provide for any minimum judicial qualifications whereas the act provides for the same. For e.g. the act provides that, District Commission will be headed someone qualified to be a district judge. Even the Consumer protection bill, 2015 provided for the minimum qualification of the judicial members who were to head the commissions at state and national level. Second clause of the section provides that, in all these cases manufacturer will be held liable even though he was not negligent or fraudulent in making express warranty of the product. So if the manufacturer fulfils his duty of care without being negligent (the manufacturer will be held liable if he was negligent as it was held in the case of Donoghue vs. Stevenson, the manufacturer cannot be held liable for negligence even though damage may be occurred but he can be made liable under this act (If the bill gets passed by both the houses and then ratified by the president). The second clause of this provision is not correct as it makes the manufacturer liable even though he wasn’t negligent or fraudulent on his part. This seems to be clear violation of Principal of natural justice. The involvement of executive in process of appointment of members of commissions is not in consonance with principle of judicial independence. The act and the bill of 2015 both had a mention of selection committees which would appoint members on these Commissions whereas the 2018 bill doesn’t provide for the same, leaving it to the central government to appoint these members. The executive has been vested with the power to appoint of members of commission, this is also a clear contravention of the above mentioned doctrine. Also in certain cases where government holds the monopoly (such as railways) such adjudication may go against the principle of natural justice. Also the protection council which are to be set up for advisory purpose, the bill doesn’t provide to whom this council is to advise and whether their advice would be at all binding or not. Another concern with the council is that, it is to be headed by Minister-in-charge of Consumer Affairs at the state and national level and by district collector at the district level, these bodies are implementing authority and giving them the advisory role is something unusual. With time, the rights of consumer need to be changed. In the modern era, developments in the area of E-Commerce, Tele Marketing, and direct selling have expanded the scope of shopping. The rights conferred in the previous legislations were undoubtedly flawless in accordance with situation that existed but with the developing world, the purview of the law needs to be widened. The bill not only includes telecom and housing construction but also all modes of transactions such as online, teleshopping, etc. Regarding unfair trade practices, it has given more emphasis to issuance of bill or receipt. It also gives prominence to the privacy of the consumer, it being fundamental right under Article 21 of Indian Constitution. Earlier act had no reference to product liability nothing related to product liability, but the bill includes provision relating to it and provides relief to consumer for the same. The bill provides for Central Consumer Protection Authority (CCPA) to promote, protect, and enforce the rights of consumers and declares consumer protection council as advisory body. As per the increase in value of Rupee the bill also increases the pecuniary limits of the district, state and national commission. The bill has also widened the scope of resolution by attaching mediation cells to the commissions as alternative dispute resolution. The penalty in the act was very less, the bill provides for increase in it. The act had no mention of E-Commerce or direct selling but the bill not only defines it but also provides that central government can prescribes rules for preventing unfair trade practices in both E-commerce as well as direct selling. The composition of commission, being quasi-judicial body violates principle of natural justice. The bill provides for appointment by executive in the commission. There is no compulsion regarding members being part of judiciary, all members can be non-judicial also. This may violate doctrine of separation of power. The bill can be considered as very progressive enactment as it has considered the recent growth in the field of law as right to privacy is also taken into consideration but on the same side it is very reactionary as it is making the manufacturer liable even though they were neither negligent in their approach nor fraudulent in making express warranty. Objects and reasons clause of the Consumer Protection Bill 2018. Section 2(47) (IX), The Consumer Protection Bill, 2018. The Consumer Protection Bill, 2018, Section 84. 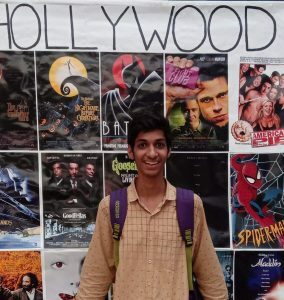 Aman is a second-year student at the National Law Institute University (NLIU), Bhopal. His interests include General Corporate/Business and Commercial Laws, Intellectual property, Constitutional Law, and Public International Law. 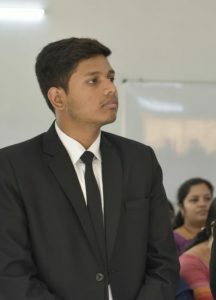 He was the runners up at the South Asian Rounds of Commonwealth Moot Court Competition; 2019. His activities in University involve Mooting, Debating and Basketball. He is also interested in academic research and writing and has published several papers and articles on contemporary legal issues in various leading journals. Arpit Richhariya is a 2nd Year student at Dr Ram Manoher Lohiya National Law University, Lucknow. Apart from academics, his interests lie in tennis and football. He is keen towards pursuing academic research in matters related to contemporary legal issues and constitutional law.